Taking up an almost full-time position for the company, I rebuilt 3 websites for them in 2017 including their main branded site Quote Me Today. This was a site that hadn’t been updated for nearly 9 years and was not responsive to smartphones. There was a large technical aspect to the site as it had to have conditional form submissions which needed to integrate with the company’s bespoke CRM. This was coupled with the ability to customise campaign landing pages for paid advertising and also gain momentum in the search engines in an extremely competitive industry. 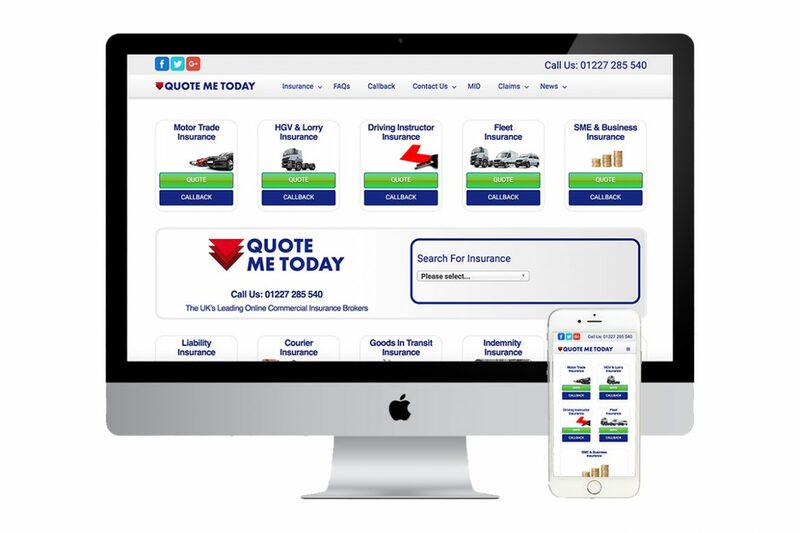 Whilst working with Quote Me Today I also rebuilt over 70 email templates based on the type of insurance, the customer relationship stage (prospective lead, hot lead, cold lead, existing customer renewal etc). I also created printed adverts for industry magazines such as Driving Instructor Magazine.